Jimmy Graham TE Prob Mon - Knee - 10/11/18 Graham is battling a knee injury but it is not expected to impede his status against the 49ers on Monday. Kevin King CB Prob Mon - Face - 10/12/18 King was removed from the previous game with an injury to his chin but it is likely he will play Monday against the 49ers. Aaron Rodgers QB Prob Mon - Knee - 10/9/18 Rodgers is dealing with an ongoing knee injury but is likely to be available against the 49ers on Monday. Bryan Bulaga T Ques Mon - Knee - 10/13/18 Bulaga is hampered by a knee injury and it is unclear if he will take the field Monday against the 49ers. Jason Spriggs T Ques Mon - Ankle - 10/13/18 Spriggs has an ankle injury and his status for Monday against the 49ers is unclear. 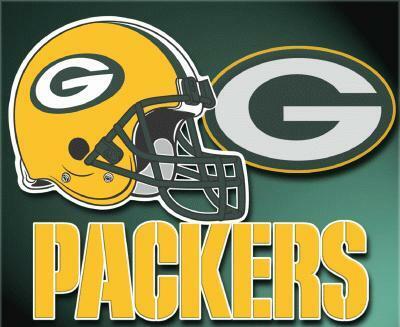 Kentrell Brice S Ques Mon - Ankle - 10/11/18 Brice is tending to an ankle injury and it is unclear if it will hinder his availability against the 49ers on Monday. Justin McCray G Ques Mon - Shoulder - 10/11/18 McCray is bothered by a shoulder injury and it has yet to be established if he will face the 49ers on Monday. Nick Perry LB Ques Mon - Ankle - 10/9/18 Perry left the last game due to an ankle injury and it is uncertain if he will suit up against the 49ers on Monday. Bashaud Breeland CB Ques Mon - Hamstring - 10/9/18 Breeland was absent from the lineup during the previous game with an injured hamstring and it has yet to be established if he will line up against the 49ers on Monday. Jermaine Whitehead S Ques Mon - Back - 10/9/18 Whitehead was held out of the previous game due to a back injury and it is undetermined if he will participate on Monday against the 49ers. Geronimo Allison WR Ques Sun - Hamstring - 10/11/18 Allison sat out the previous game due to a hamstring injury and it is uncertain if he will be in the lineup for Monday's matchup against the 49ers. Jaire Alexander CB Ques Mon - Groin - 10/9/18 Alexander missed the previous game due to a groin injury and it is unknown if he will be active against the 49ers on Monday. Randall Cobb WR Ques Mon - Hamstring - 10/13/18 Cobb has sat out the previous two games due to a hamstring injury and may continue to be unavailable against the 49ers on Monday. Davon House CB I-R - Shoulder - 10/9/18 House has landed on injured reserve while recovering from shoulder surgery. Muhammad Wilkerson DL I-R - Ankle - 9/29/18 Wilkerson had surgery to repair a significant ankle injury and has been placed on injured reserve. Kyle Murphy T I-R - Ankle - 9/12/18 Murphy has landed on the injured reserve list due to an ankle issue. Jake Kumerow WR Ques Week 9 - Shoulder - 9/3/18 Kumerow is on injured reserve due to a sprained SC joint and it is undetermined if he will be designated to return for the game against the Patriots in Week 9. Trevor Davis WR Ques Week 10 - Hamstring - 9/11/18 Davis is on injured reserve due to a hamstring injury and it is unknown if he will be activated prior to Week 10 against the Dolphins. Jake Ryan LB I-R - Knee - 8/13/18 Ryan is on injured reserve with a torn ACL. Cole Madison G Out indefinitely - Personal - 9/9/18 Madison has been placed on the IR/Did Not Report list as he is away from the team and it is uncertain when he will return.